Join me at The Factory to check out my brand new body of work! I have a LOT of new things that I can’t wait to share with you, lets celebrate! Opening Party: Thursday, October 11th, 6-11pm, 1216 10th ave, in conjunction with Capitol Hill Art Walk. Can’t make the Opening? There will be an alternate viewing on Friday, October 19th, from 6-11pm. 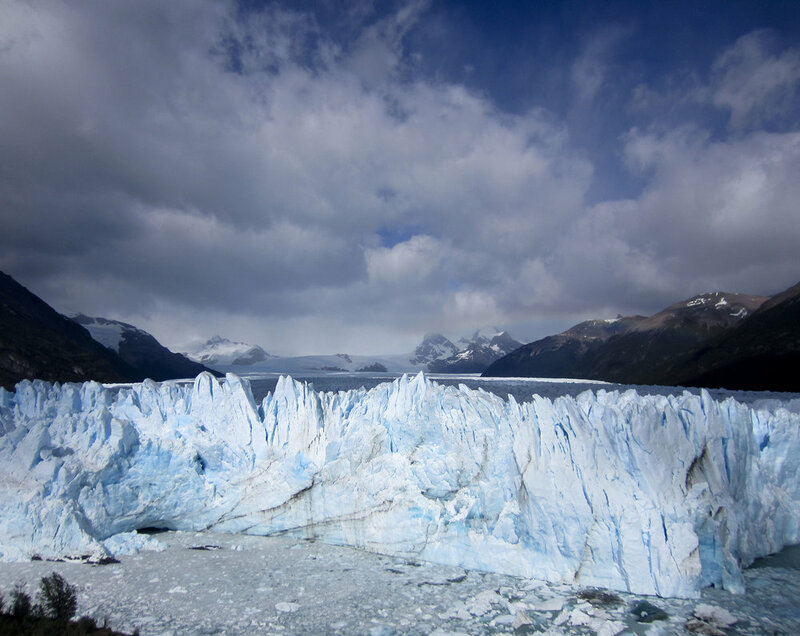 A collection of photos from a trek on Perito Moreno, a glacier in Patagonia near El Calafate. Some photos from a beautiful trip through Peru, including the Northern coast and the Inca trail to Machu Picchu. Huanchaco | A small fishing and surfing town on the Northern Coast. Home to fishermen who ride waves into shore upon their Caballitos de totora, personal fishing vessels made of reeds, a practice that has continued for over 3,000 years. Tile work in Trujillo, the largest city in Northern Peru. Chicama | A desolate fishing village where the desert meets the ocean, home to the longest rideable wave in the world. Day 1 of the Inca Trail | Beginning in the Sacred Valley, and continuing through the Andes for 26 miles to Machu Picchu, dotted with spectacular Incan ruins along the way. The trail actually spans over 75 miles, from Machu Picchu to Cuzco, the Inca would travel that distance in less time than it took us to make the 26 mile trek. There were numerous trails connecting the massive Incan empire in South America, however we were lucky enough to travel on the only known remaining original Inca trail, a stone path laid over 500 years ago, worn smooth by millions of footsteps. Inca Trail Day 2 | The view from Dead Woman's Pass, elevation 13,800 feet. Inca Trail Day 3 | Phuyupatamarka | An Incan city in the clouds, complete with stone baths that still function today. Inca Trail Day 3 | Intipata | A terraced, vertical, Incan farm. 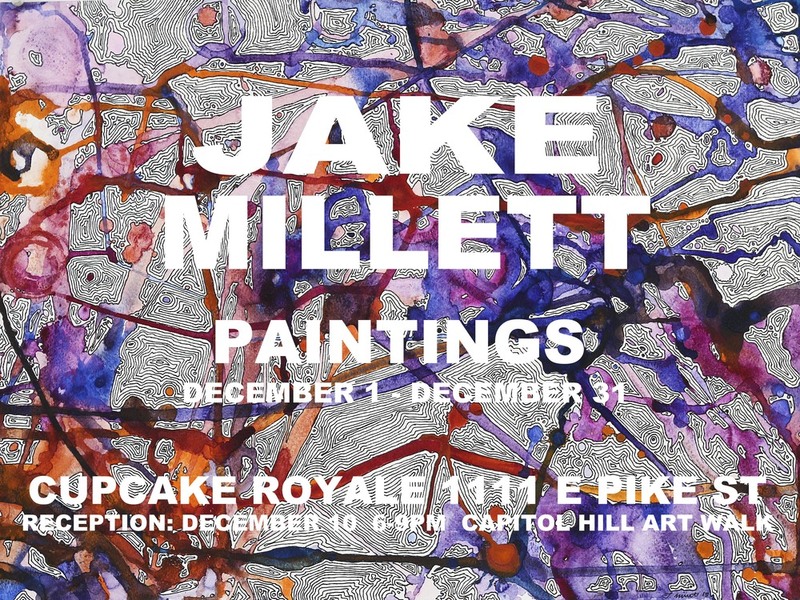 This December at Cupcake Royale on Capitol Hill (1111 E Pike St, 98122) I will be presenting a solo exhibition of paintings. The show will me made up of new and old work, on an array of surfaces, from watercolor on paper to spray paint and ink on acrylic mirror. Join me for cupcakes and beverages on Thursday, December 10th during capitol hill art walk, 6-9pm! Cupcake Royale is open 8am-11pm Monday-Saturday & 9am-10pm on Sundays. If you have followed my art for a while you know that I enjoy designing clothes. I've started a new collection of all over prints, including dresses, shirts, tank tops and more. Have a look at my profile, you can order any of my designs online! This August I will be presenting a brand new collection of paintings at Martyr Sauce in Pioneer Square. Check out the art walk on first thursday, August 6, for the opening. Martyr Sauce is located at 122 South Washington St. 98104 and the show will run through September 16. Funhouse is a collection of dynamic compositions painted on mirrored and translucent surfaces. The paintings blur the lines between art and self as visitors are transported into an immersive painting experience. Funhouse intends to toy with your perception and alter the feeling of depth within the space, creating a playful, surprising, and distorted world of art. Mark your calendars for January 31st (4-7pm), I will be having a viewing party and happy hour at Thirteen Coins (125 Boren Ave N), come have a drink and spend some time with my installation. If you cant make the happy hour you have until March 2 to check out "Light & Line". Have a look at my artist profile and statement on the Storefronts Seattle website!